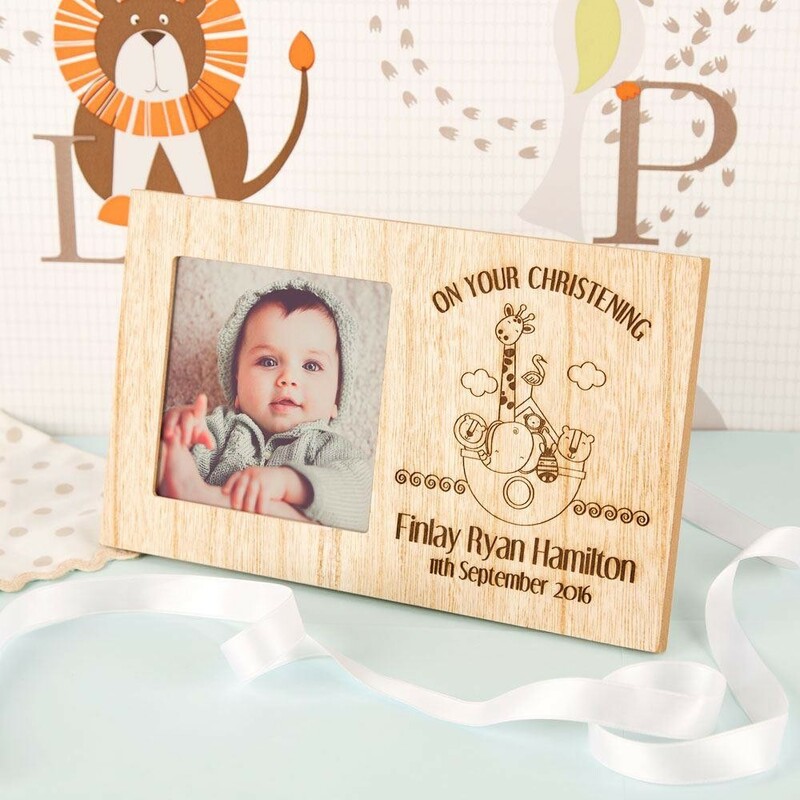 Our stunning wooden frame is the perfect gift for a little one on any special occasion. It shows an outlined illustration of Noah's ark, complete with a group of animals happily floating along the rolling waves. An arch of text above reads the special occasion. 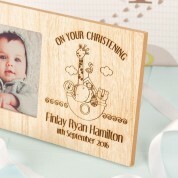 Below in a modern font reads the child's full name and special date of choice. 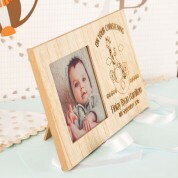 The perfect gift for a dedication, naming day, baptism or any other religious event. 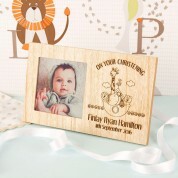 Alternatively it would make a lovely, one of a kind birthday or new born gift.